Exhibiting with London & Partners (B2416), visitors to IMEX – America’s worldwide exhibition for incentive travel, meetings and events – will have the opportunity to learn more about how Church House can provide the ideal backdrop for international events, with 19 flexible event spaces including its largest, and most impressive space, the Assembly Hall which has the capacity for up to 664 people. One of London’s true hidden gems, the Grade II Listed building was designed by the renowned architect, Sir Herbert Baker. Hosting a wide variety of events from multi-day conferences to gala dinners and award ceremonies. Previous events include The International Somali Awards, Spectator Events, InfoComm International, international medical conferences and fashion shows. For more information about Church House Westminster or to book you next event, please contact sales@churchhouseconf.co.uk. The last few months have been an extremely exciting time for the Westminster Venue collection (WVC). We have a new name new branding and a smarter, more intuitive website creating a strengthened platform for both our clients and our members. Our showcase event, which took place at Central Hall Westminster on Monday, 12 December, provided a wonderful opportunity to meet and network with over 100 event professionals from across the UK and introduce them to our new look alongside our incredible selection of member venues and preferred suppliers. We were delighted with the feedback that we received as significantly investing in the new identity and website has been quite a milestone for the collection. This year has also seen some fantastic returns on investment highlighting both our integral position in the market and the high value our members receive from being part of our great collection. Jayna Patel, from One Great George Street, became a board member in 2016 and her venue has recorded a fantastic return on membership in the last 12 months with £25,000 of confirmed business coming directly from the collection – covering the membership fee of £1,700 p/a almost 15 times over!. Church House Westminster has also had a great year with the collection that is set to continue into 2017. Thanks to their membership, they are looking forward to a large event in June, which is worth approximately £20,000. Elsewhere, Cavendish Venues and London Film Museum have also had a fantastic end to the year thanks to the collection. Cavendish Conference Centre has confirmed over £14,000 worth of revenue, generated from a single enquiry made via the collection’s stand at The Meetings Show in 2016, while London Film Museum has reported a £10,000 booking from the collection’s website. It is fantastic to hear both our members and our clients getting such great success from the collection and that we provide an effective platform for fruitful business opportunities in the events community. As a collection, we are greatly looking forward to 2017 and hearing more successes from other members. If you are interested in becoming a member venue with us, please click here or if you’re an event buyer looking for a venue in Westminster, you can quickly and easily enquire with any of our venues here. We wish you a very happy and successful 2017. Church House Westminster has welcomed three new members of staff to its event and marketing teams. Nicole Regalario has joined the team as events coordinator, bringing with her a wealth of sales and events experience having previously worked at Richmond Hill Hotel and Warren House. Church House has also strengthened its marketing team with Gemma Watts taking over the role as marketing executive. Gemma has joined the team from the Roehampton Club, having gained a degree in Marketing Management from Oxford Brookes University. Hannah Draboczy has been appointed sales and marketing assistant. Having graduated from Sheffield University with a degree in Events Management Hannah previously worked at Centaur Media as an operations assistant. 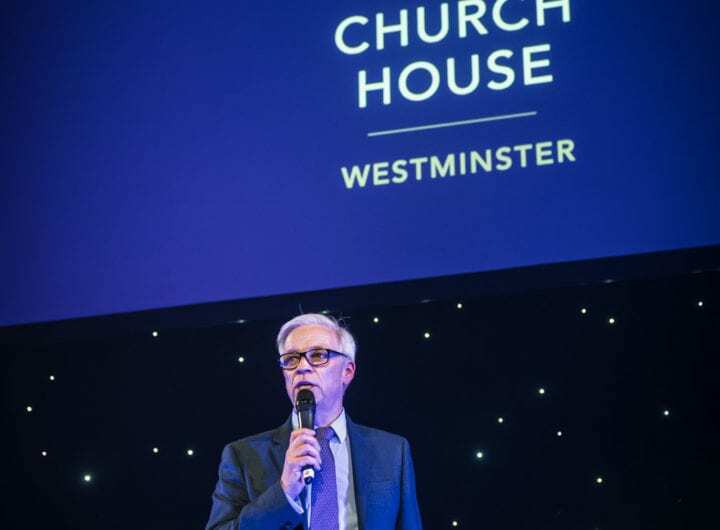 Situated in the heart of London, Church House Westminster has AIM Gold accreditation and is one of the city’s most versatile event venues, accommodating between two and 664 guests. For more information call 0207 390 1590. Don’t miss out on our grand reveal! It is an exciting time here at The Westminster Collection as we prepare for the grand reveal of our new identity and interactive website at a stunning showcase taking place on Monday, 12 December at Central Hall Westminster. Starting at 6pm, the event offers you the chance to be one of the first to see our new name and logo and have an exclusive live demo of our new website that’s been designed to make searching for a stunning venue in the heart of Westminster even easier. You’ll also have the chance to meet representatives from our incredible collection of Westminster venues while enjoying entertainment from St Martin-in-the-Fields’ spectacular choir, St Martin’s Voices, as well as the chance to win some fabulous prizes such as a pair of Christian Louboutin shoes and afternoon tea at the Pump Rooms in Bath. Pre-register to verity@custardcommunications.com now to get your hands on the hottest ticket in town. Places are strictly limited and The Westminster Collection reserves the right to qualify your event planning credentials in order to confirm your place. Posted in Events, Investments & Renovation, Networking eventsLeave a Comment on Don’t miss out on our grand reveal!